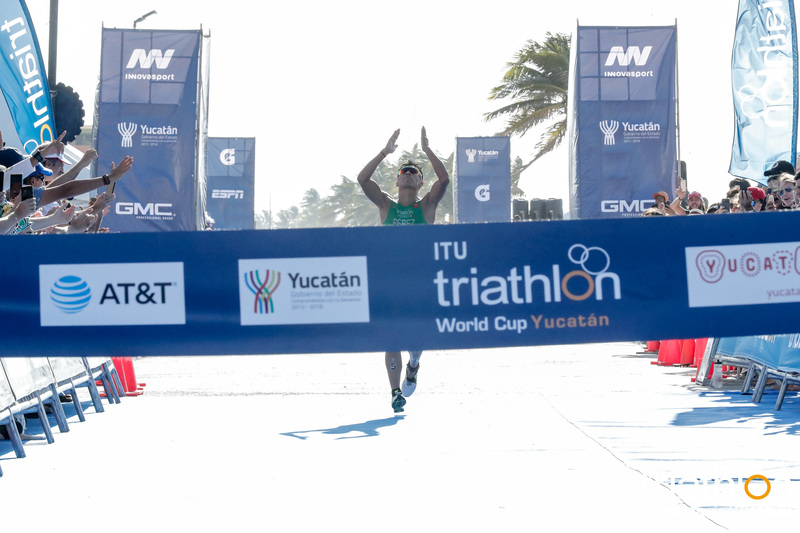 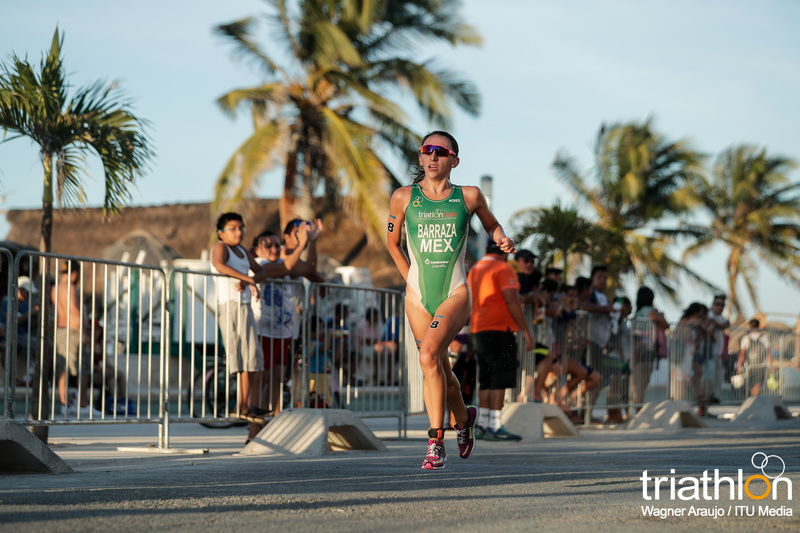 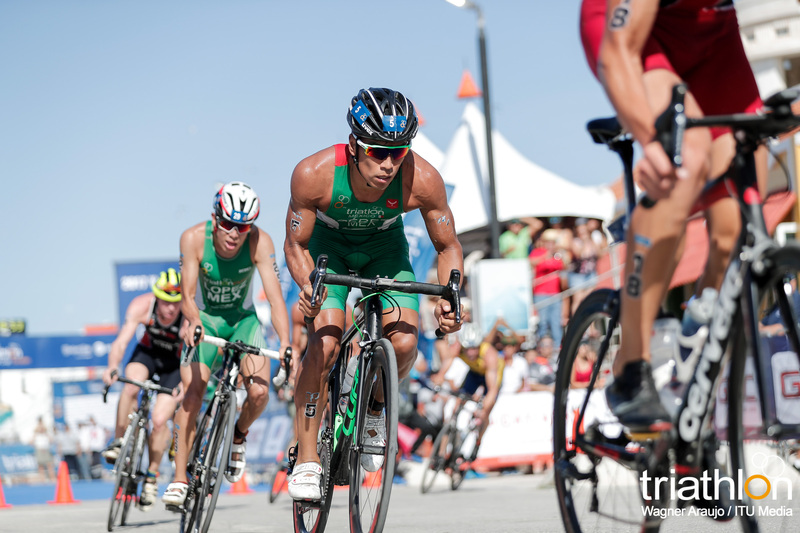 Returning to the world cup podium for the first time since 2015, Mexico’s Irving Perez became the first-ever Champion of the 2017 Yucatan ITU World Cup. 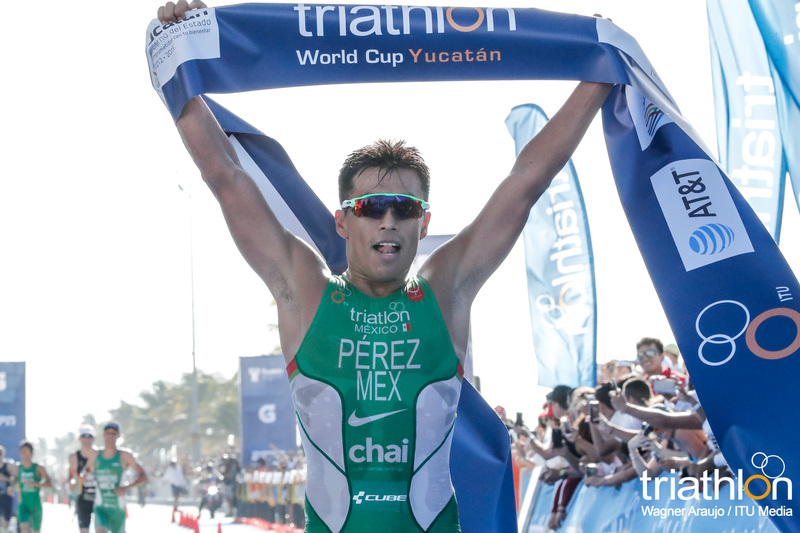 His blazing performance on the run earned him the victory, which was celebrated with crowds cheering the word “Mexico” as the win came once again for Perez in front of a home crowd. 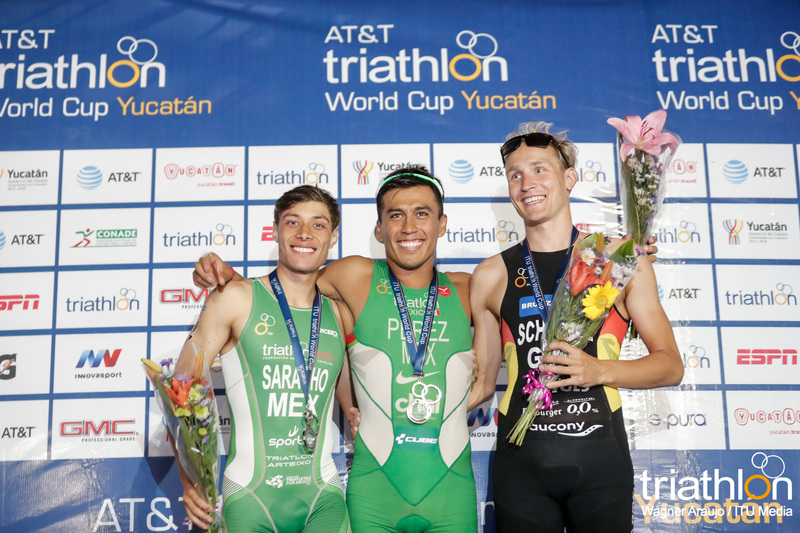 Joining him on the podium was fellow Mexican compatriot Cesar Saracho who stepped onto the world cup podium for the first time with a silver. 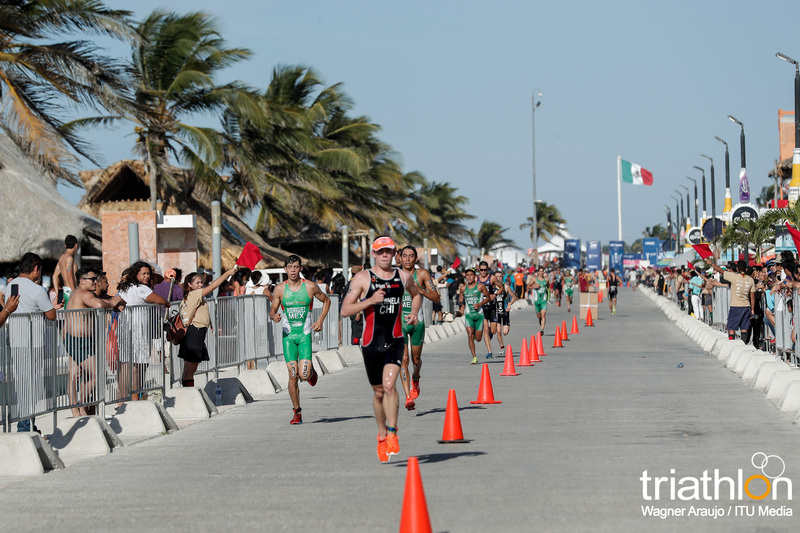 Germany’s Maximilian Schwetz earned the bronze in his first world cup race of the year and first podium since 2015. 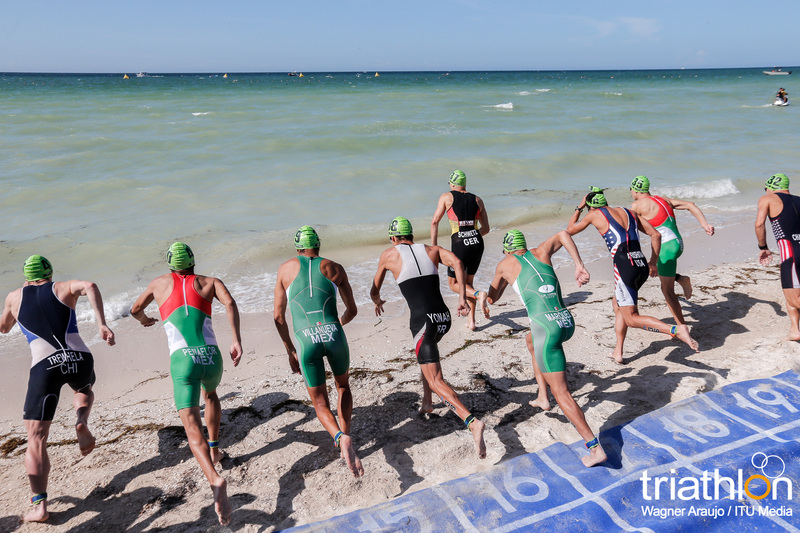 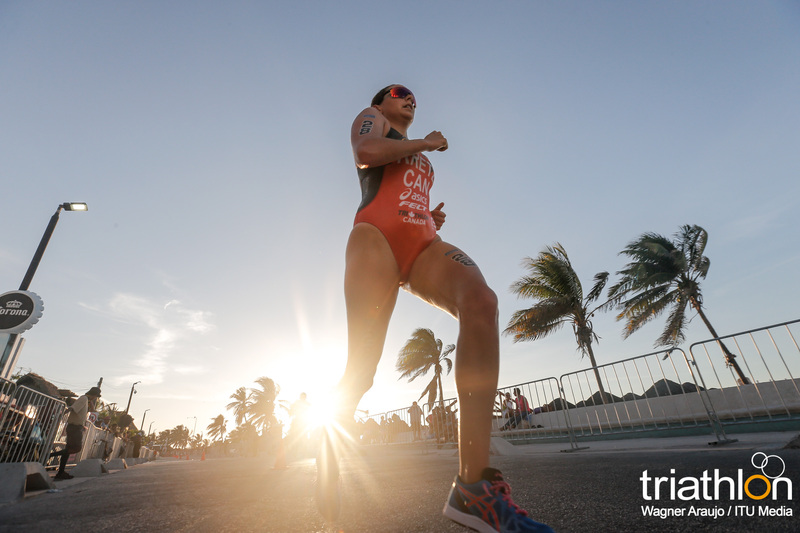 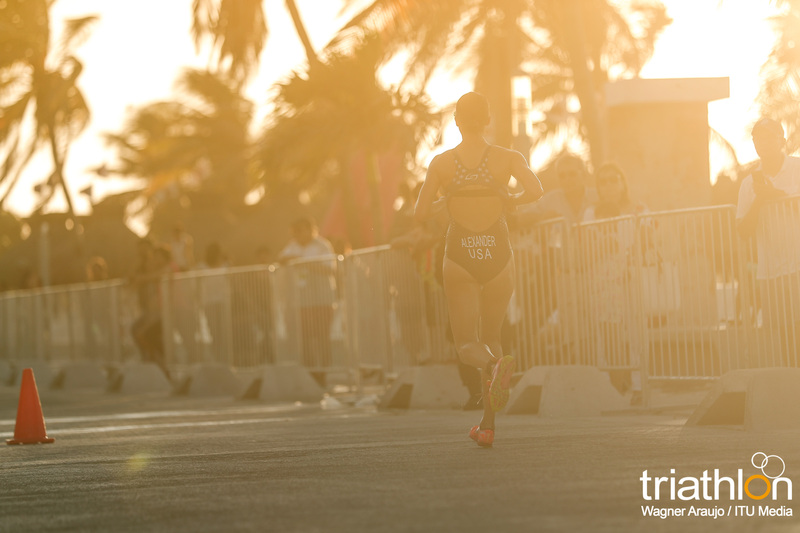 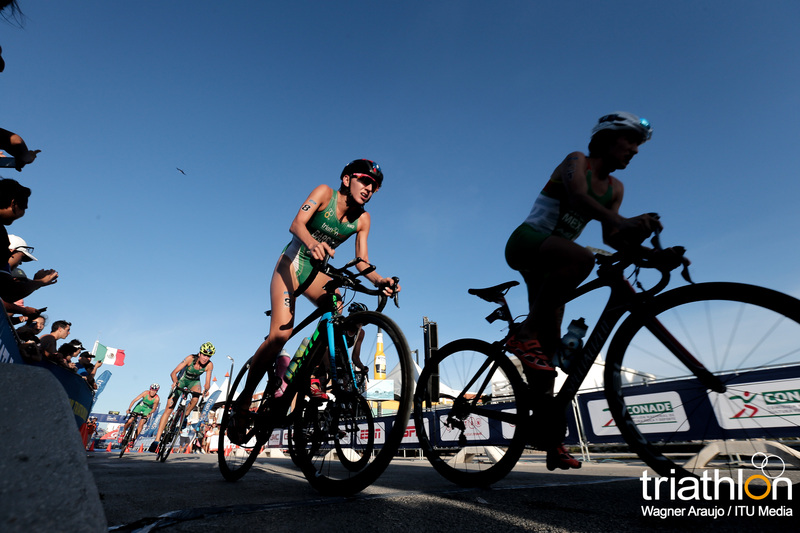 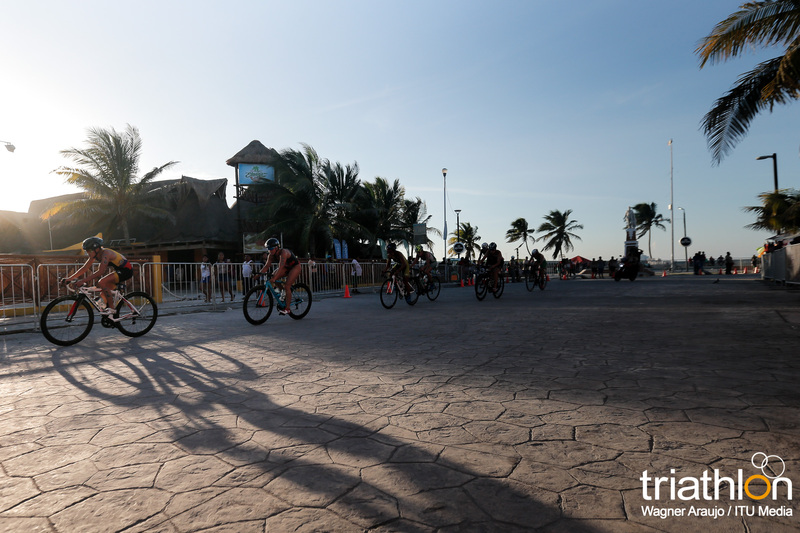 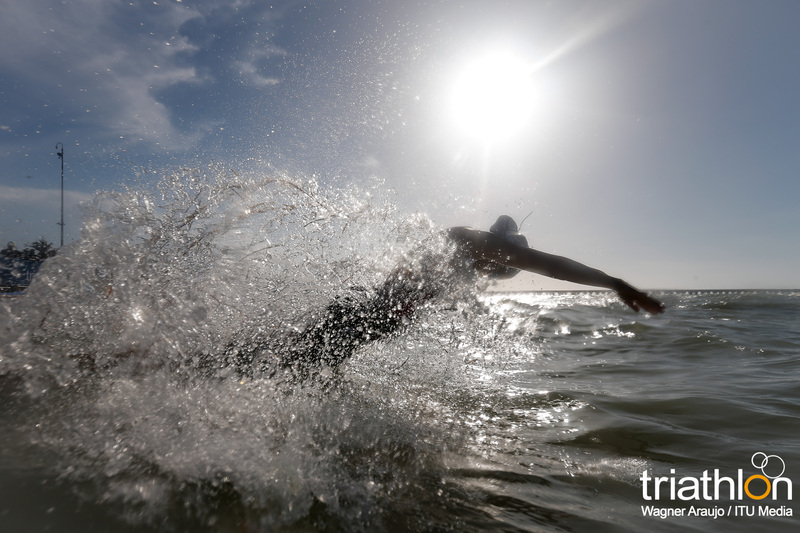 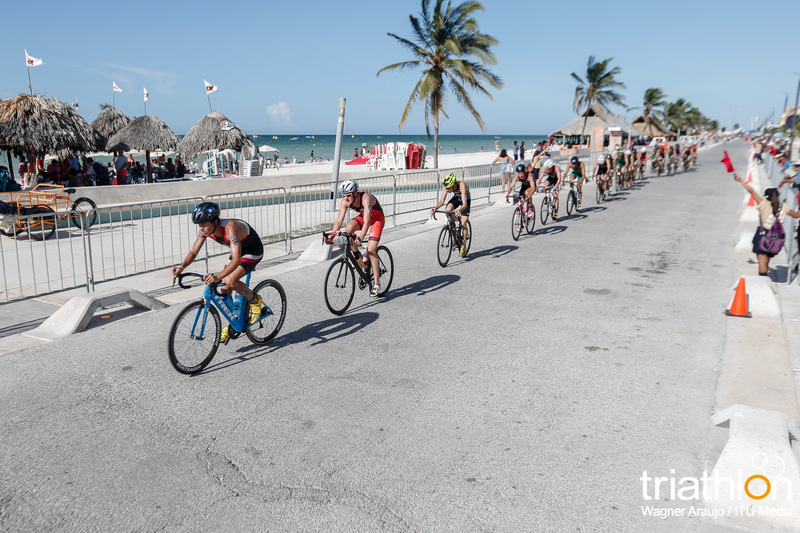 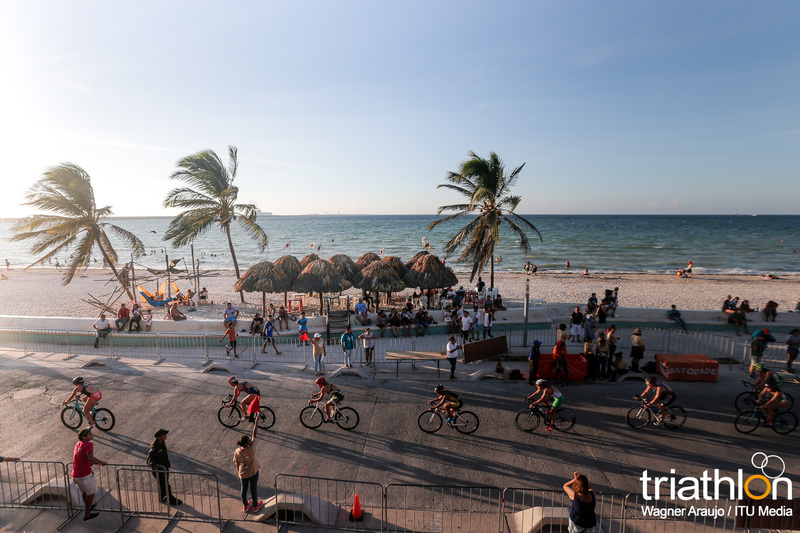 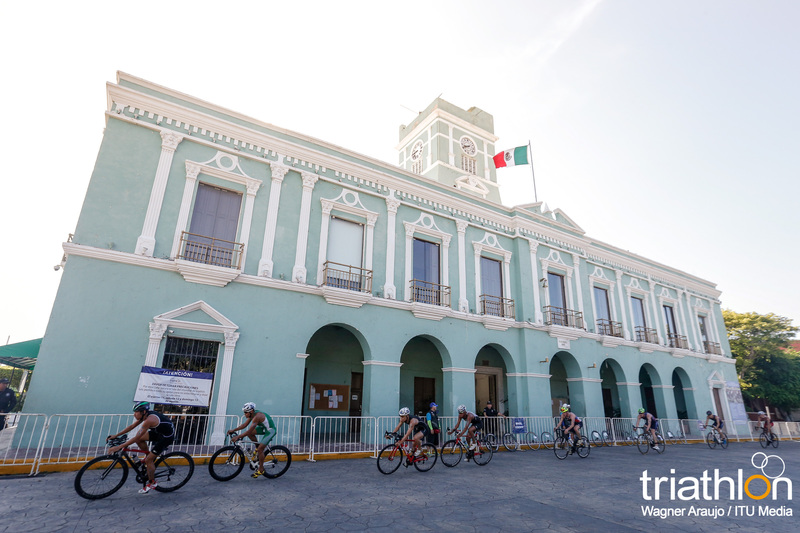 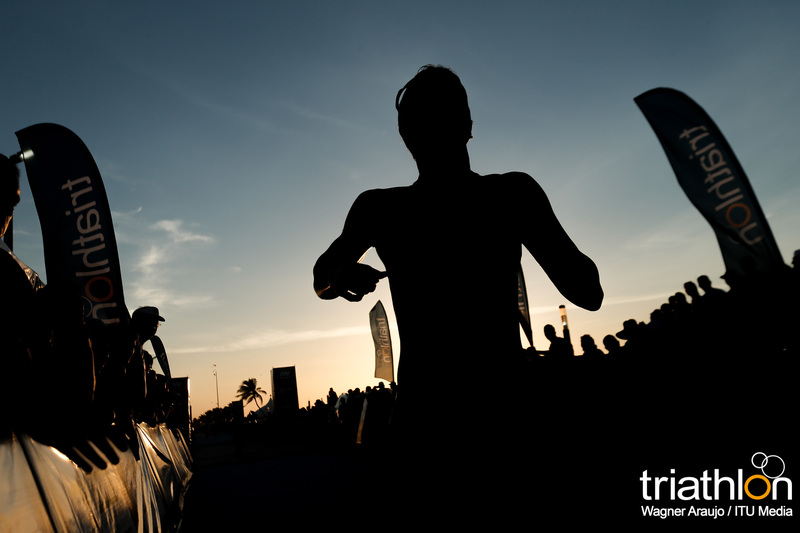 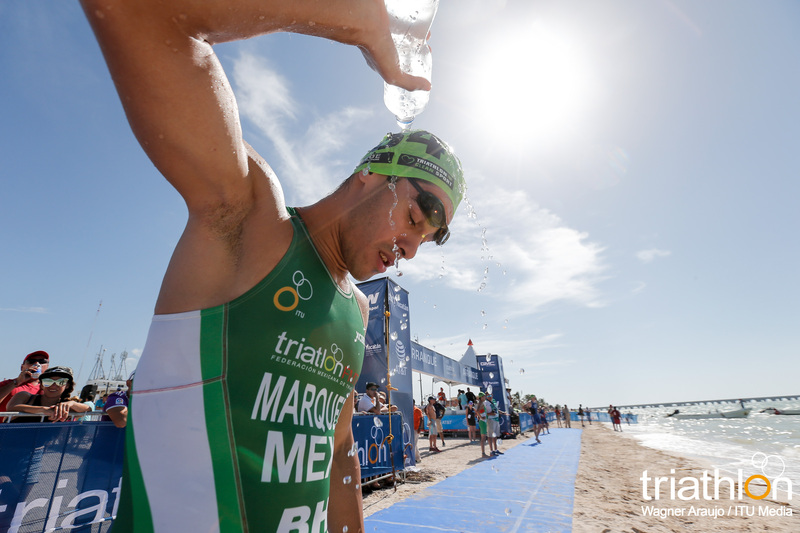 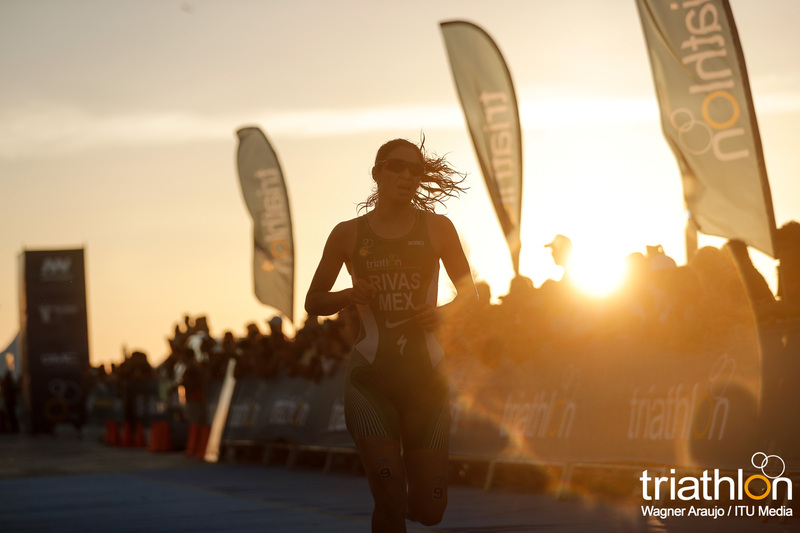 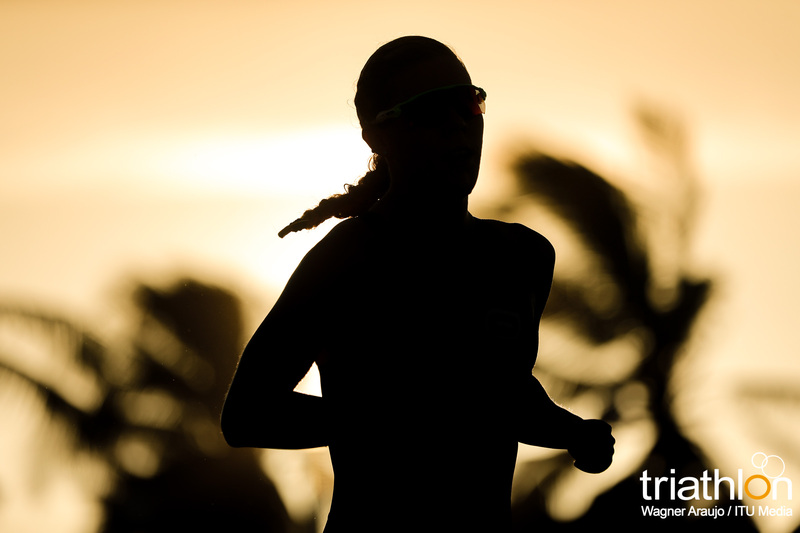 The race venue was held in the port city of Progreso, just outside of Merida, Mexico. 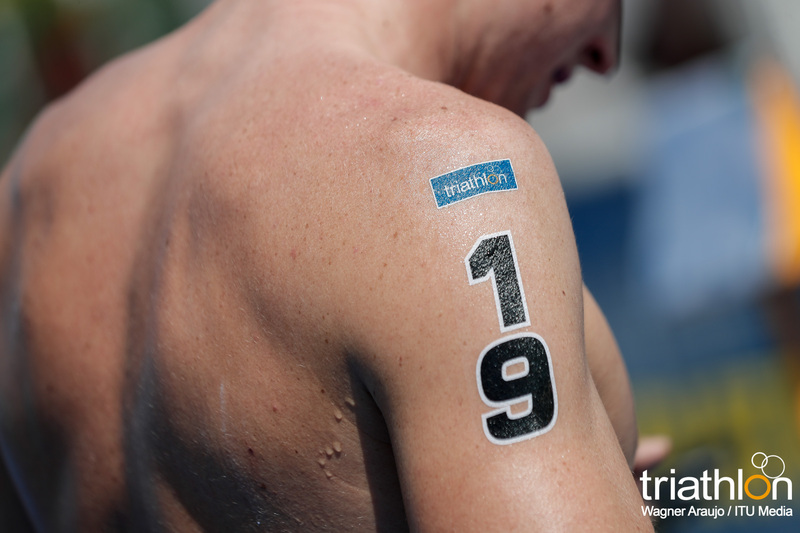 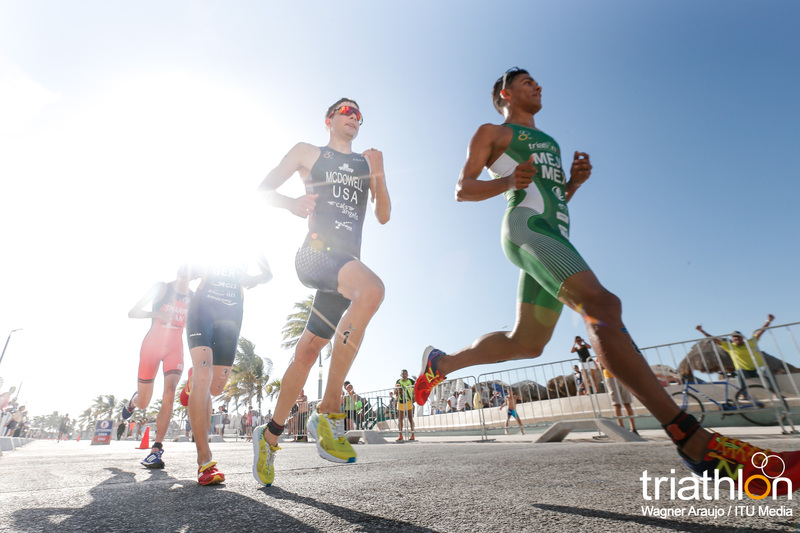 With the sun shining and mid-summer lineup, the elite men prepared for a hot and humid sprint distance course. 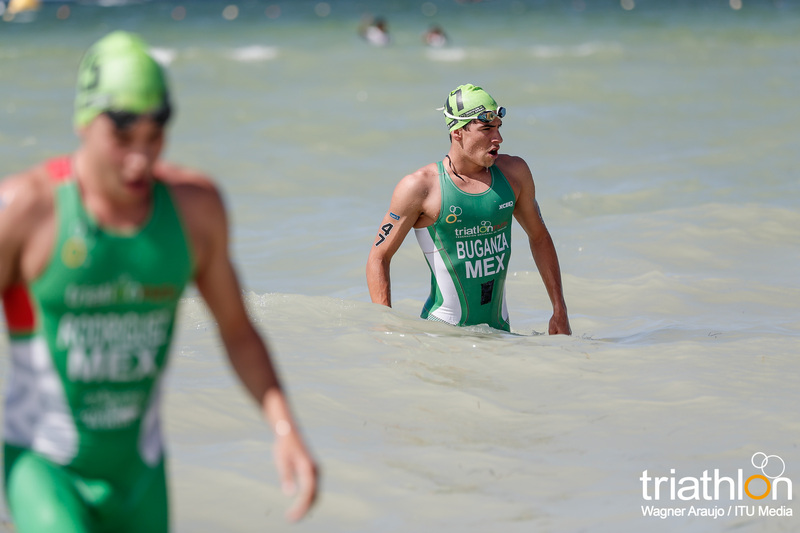 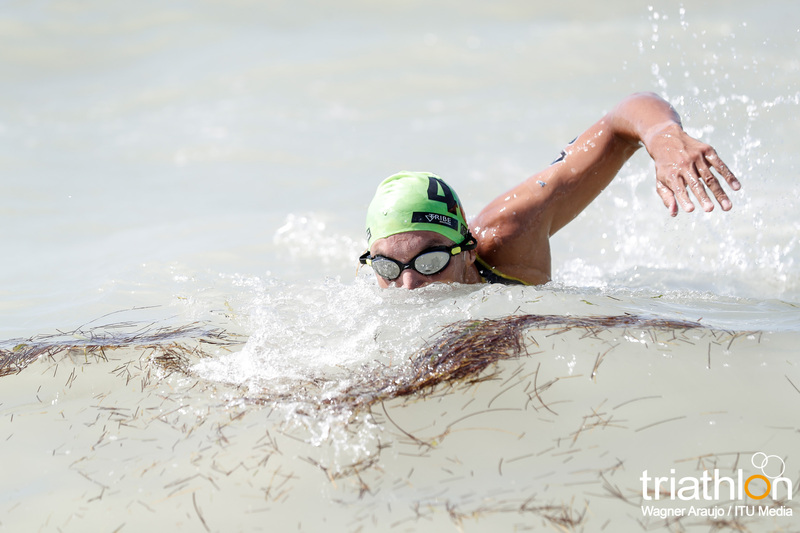 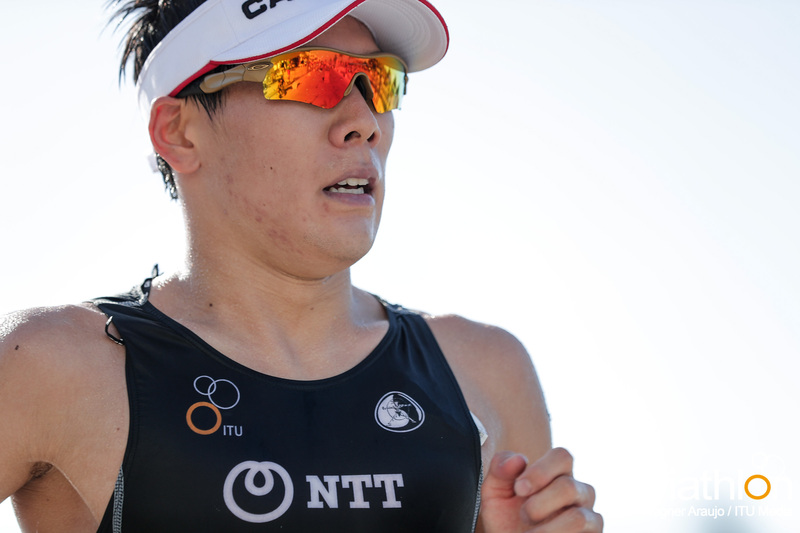 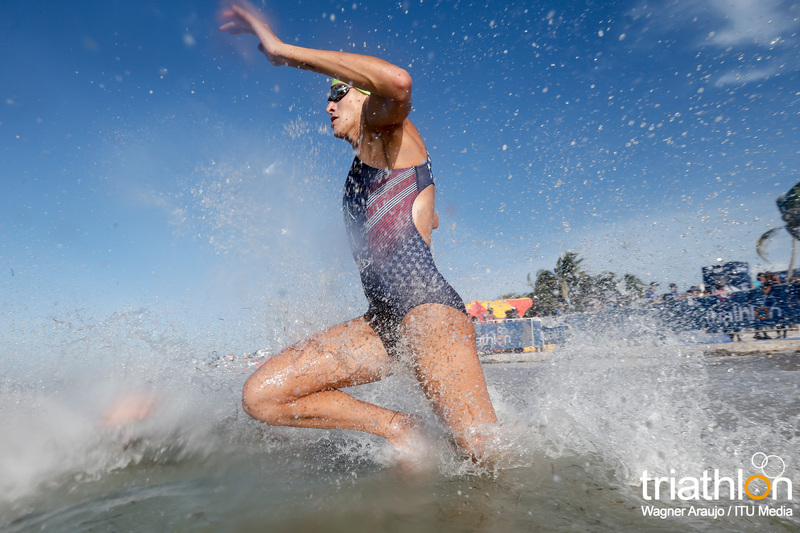 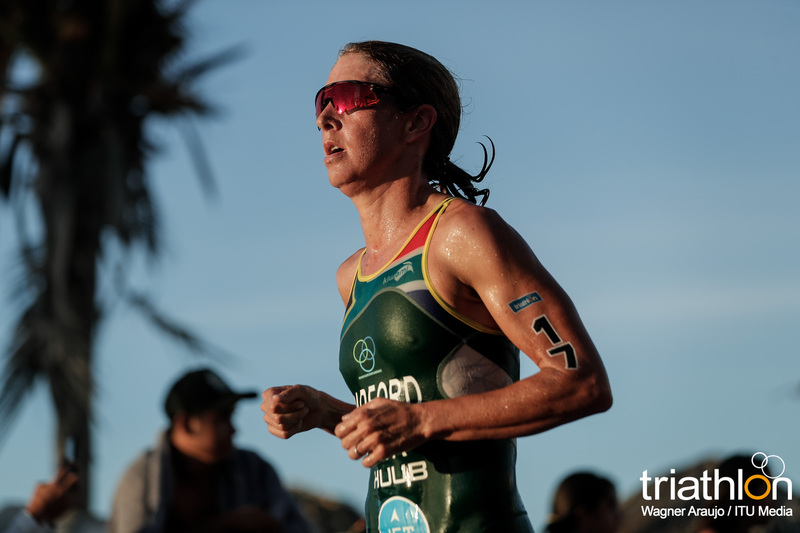 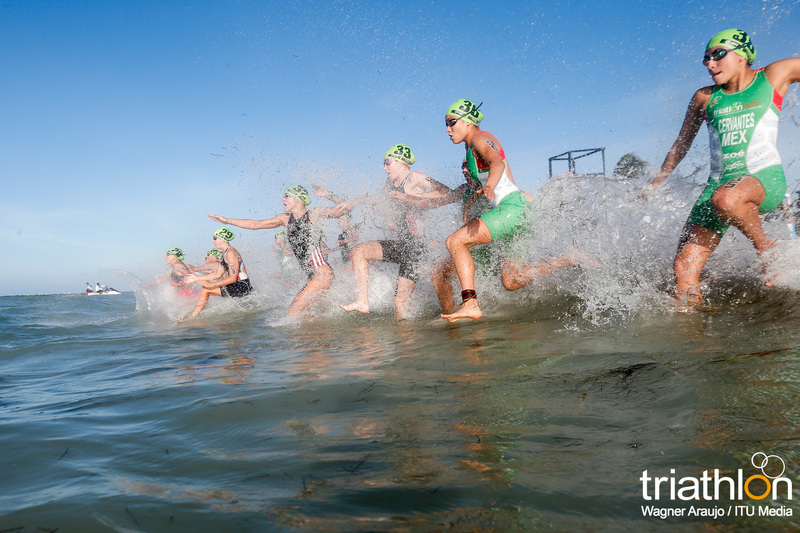 Starting with a beach run into the water, the field battled the choppy ocean waters for the one-lap 750 metre swim. 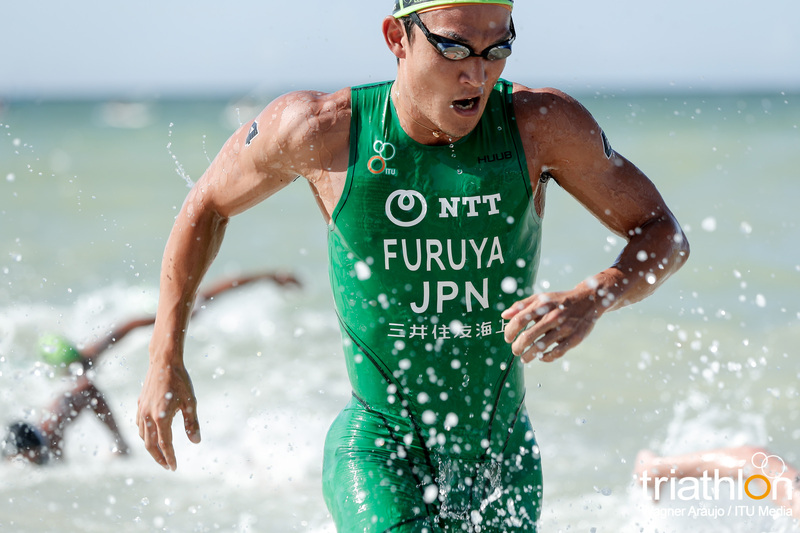 Exiting the waters first was USA’s William Huffman and Jumpei Furuya (JPN), but the gap was tight and the rest of the field followed in their pursuit. 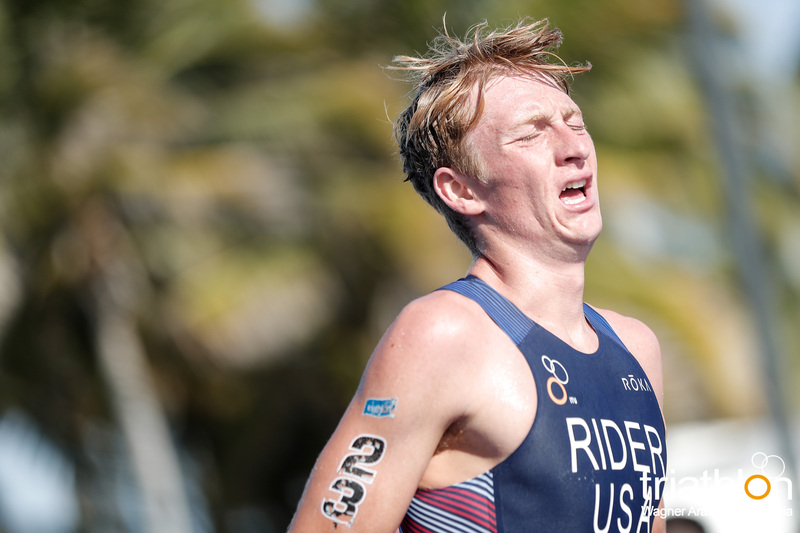 Heading out onto the bike, the first lap brought forth a breakaway between Furuya and Seth Rider (USA) and two larger chase packs in their wake. 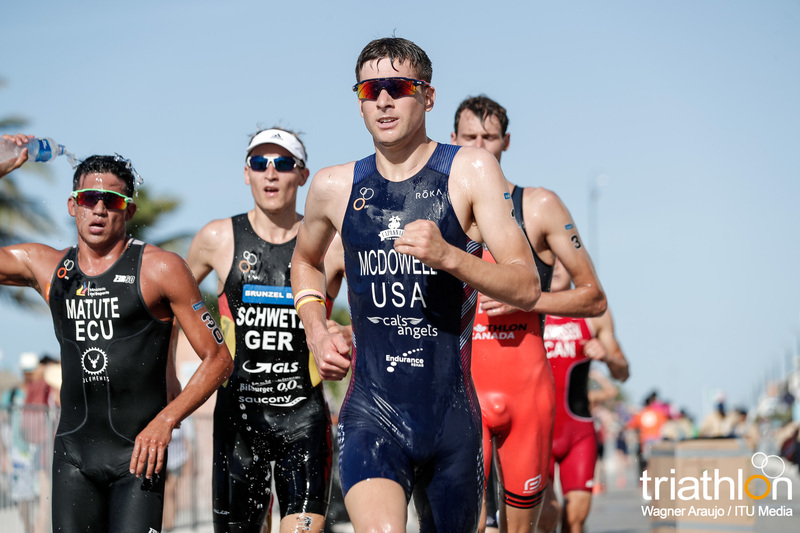 The first chase, which contained about 12 men including Kevin McDowell (USA), Matthew Sharpe (CAN), Perez, and Schwetz, remained around a half a minute down. 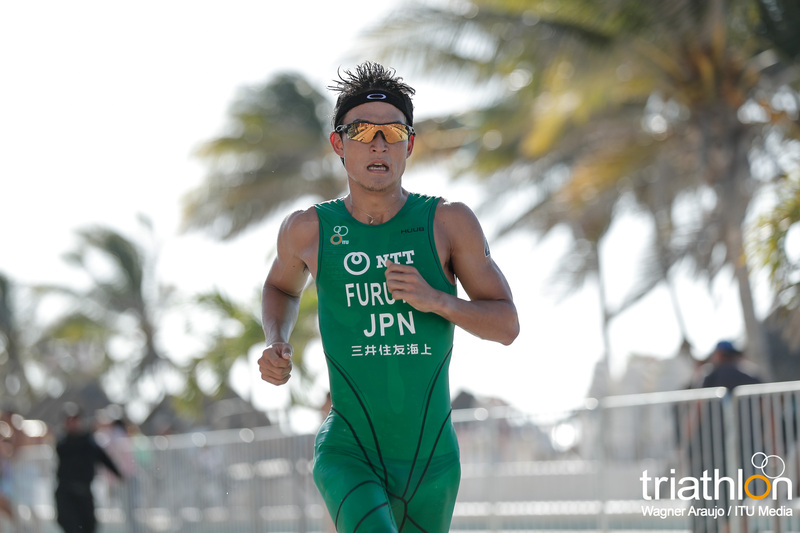 Then once onto the run the men that were in the chase gunned it out of the transition zone and it wasn’t long before they had caught Furuya and Rider. 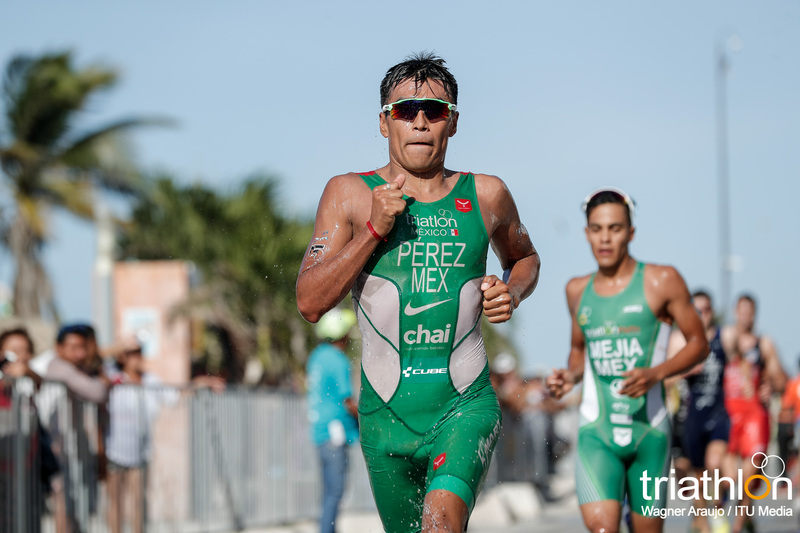 It took less than one lap for Perez to show his abilities in the hot conditions as he surged towards the front and took the lead. 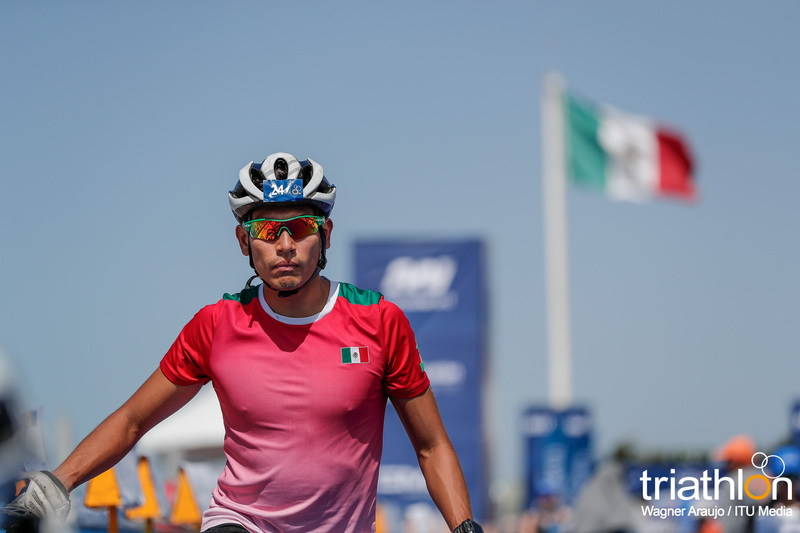 He carried his lead into the finish line and collected his second Mexican World Cup title, after first becoming victorious in Hautulco in 2015. 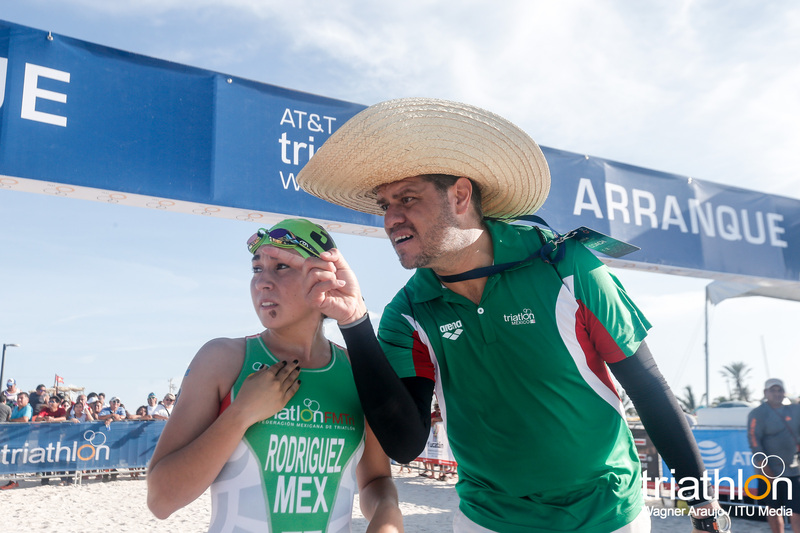 A similar looking tri suit followed in his path as Saracho hit a career milestone to make it onto his first world cup podium, also in his home nation. 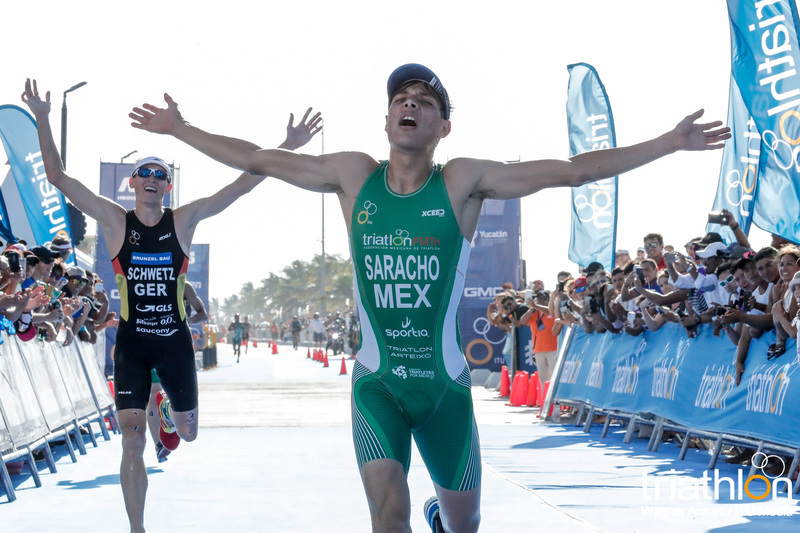 His silver came from a huge standout run. 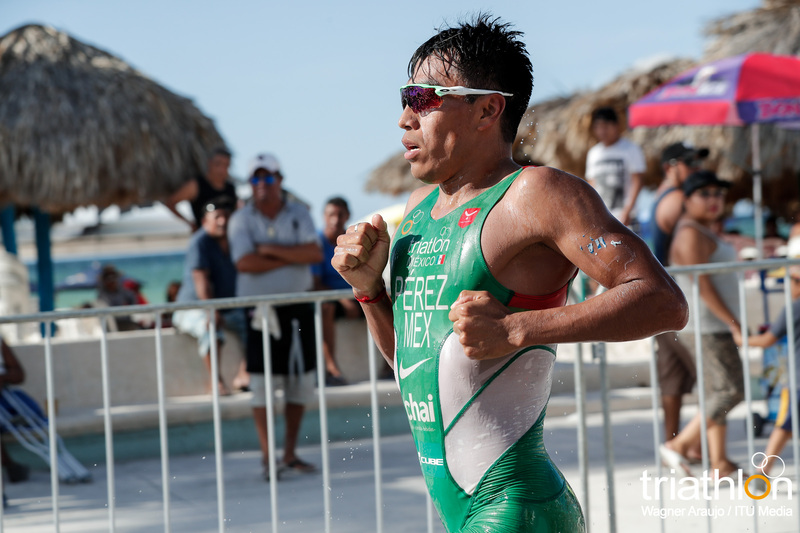 Saracho was among the second larger chase pack and entered into the last leg down by almost a minute. 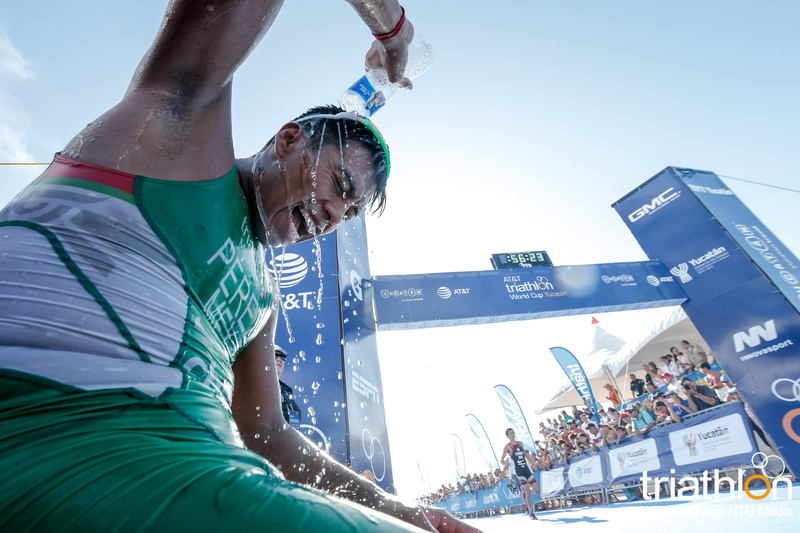 His come-from-behind performance earned him the second place. 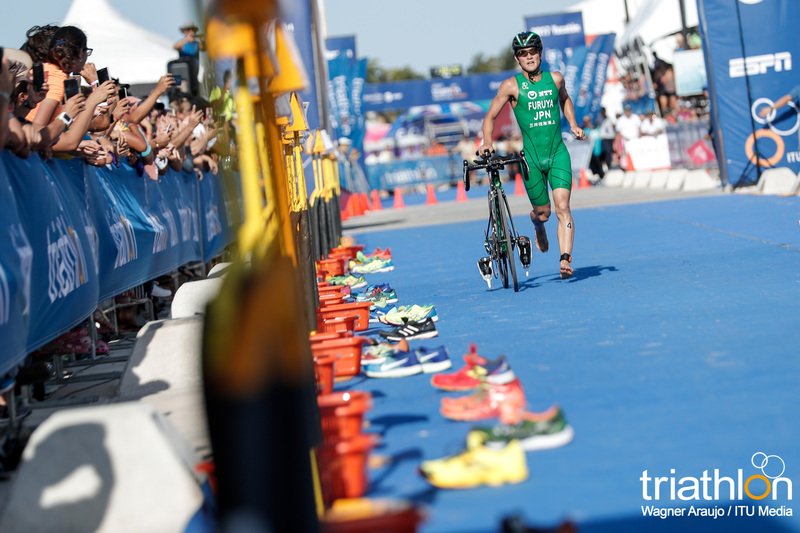 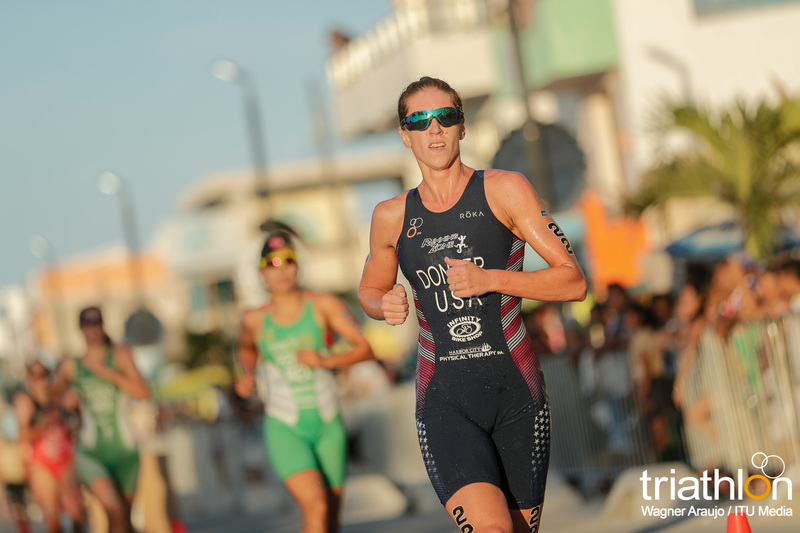 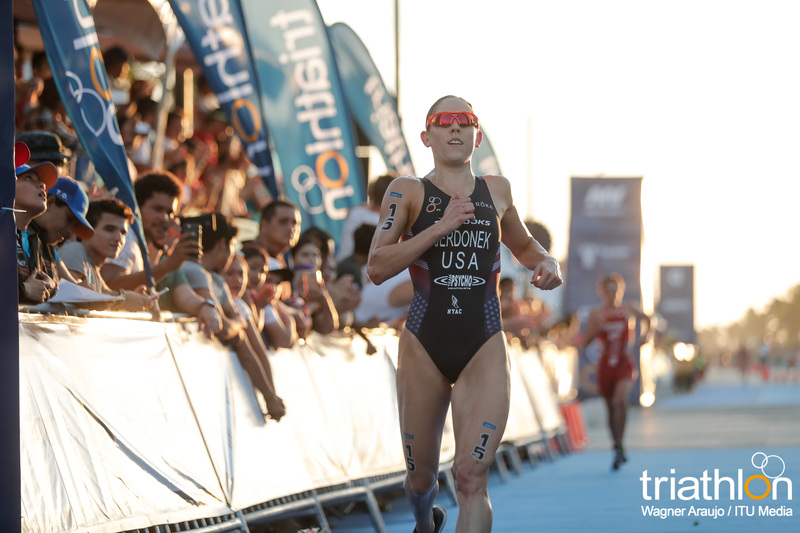 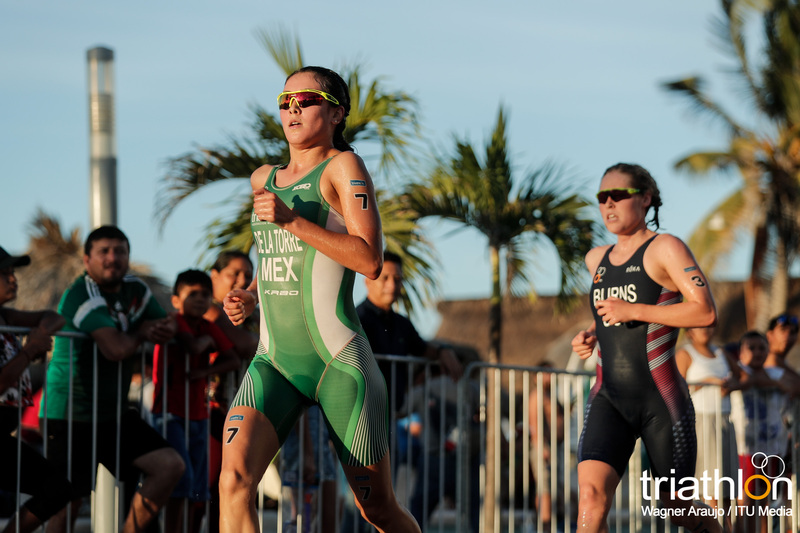 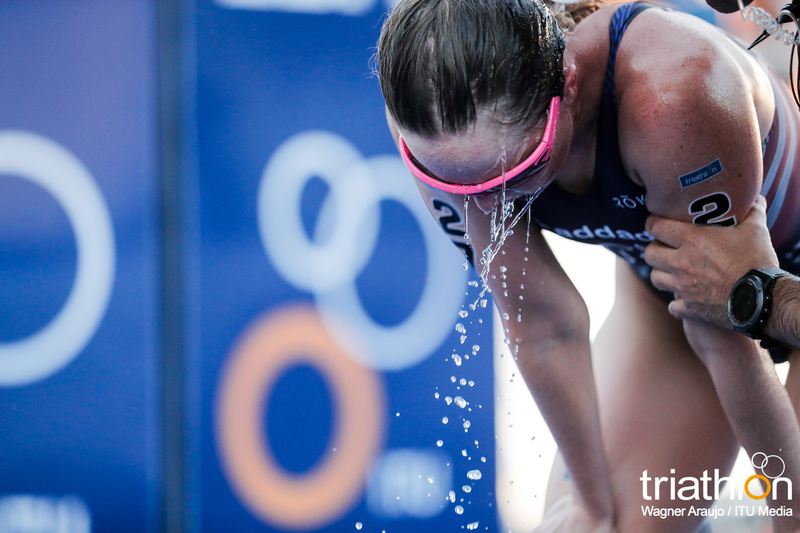 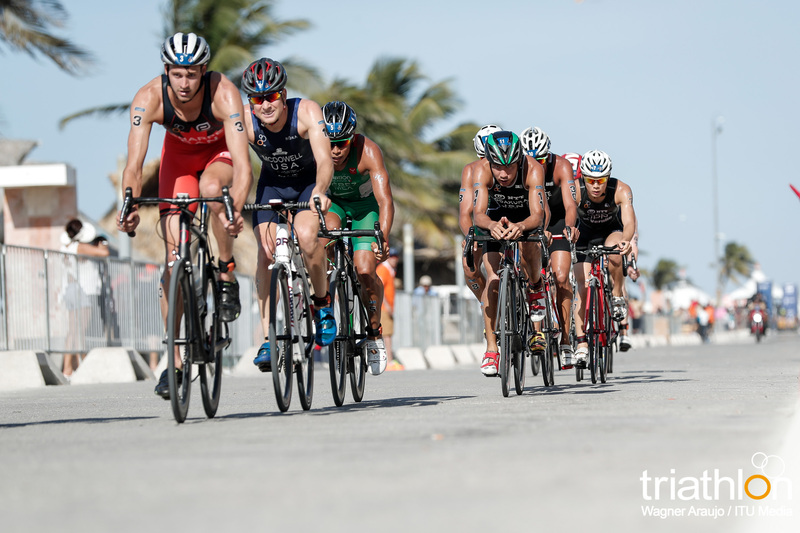 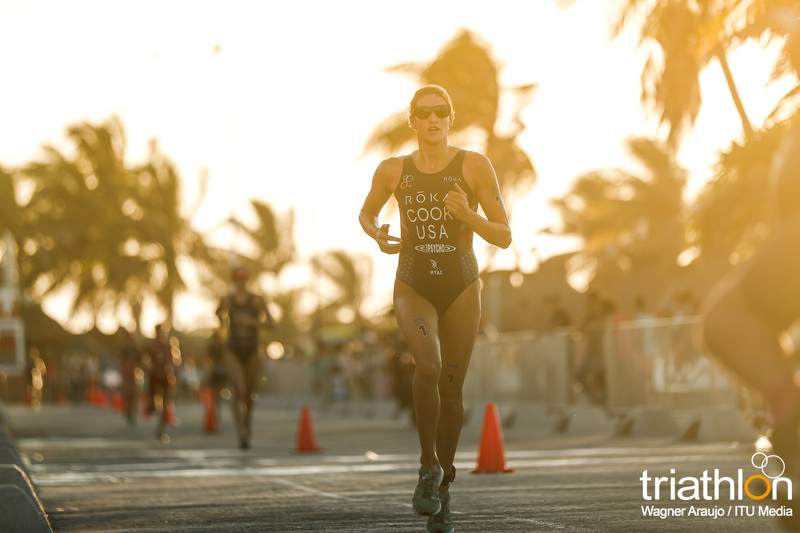 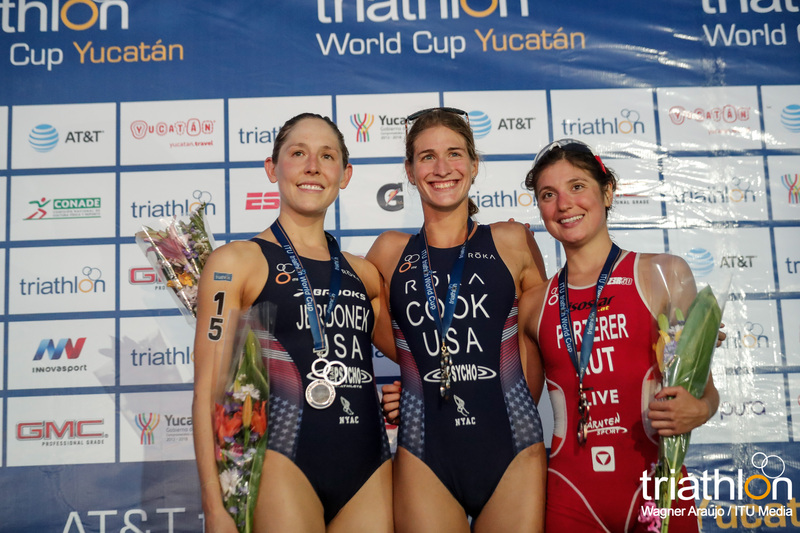 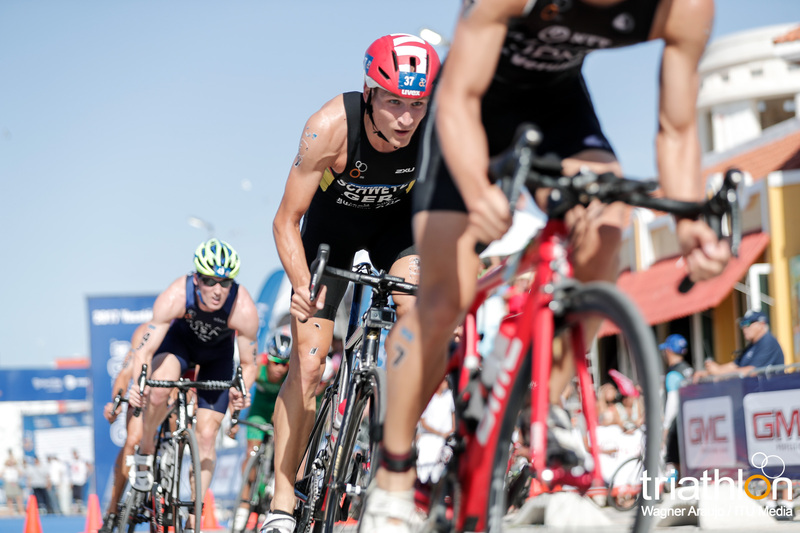 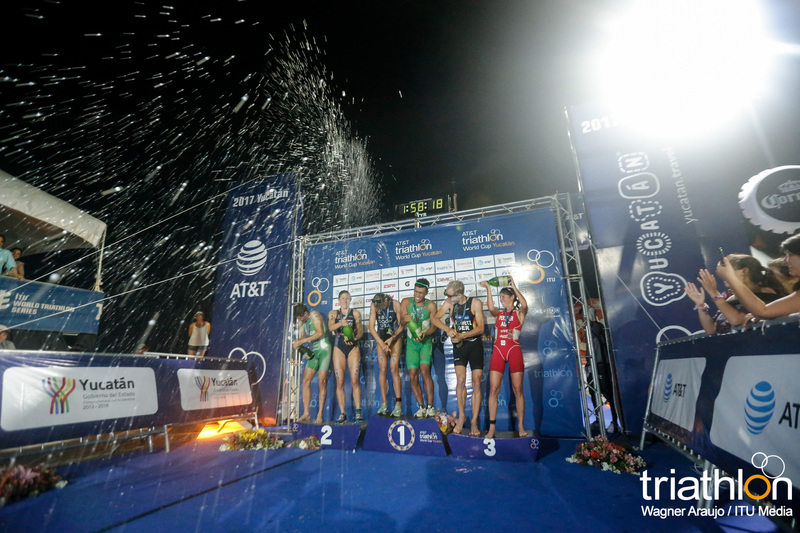 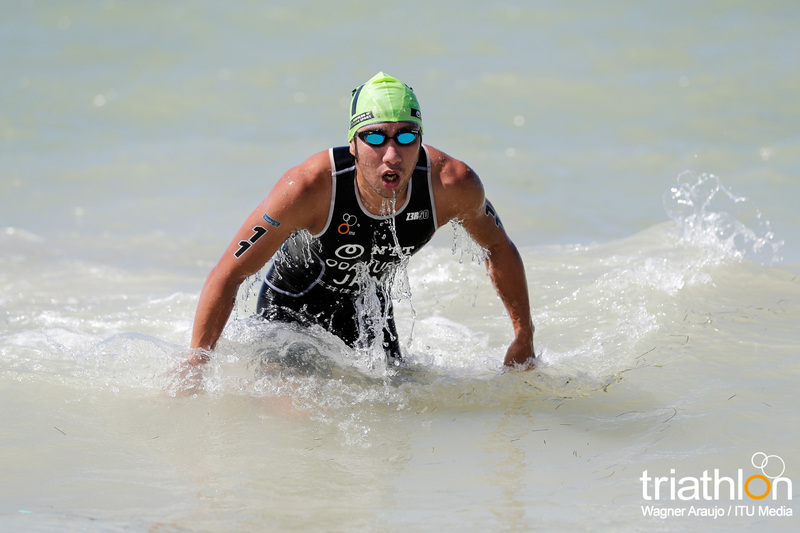 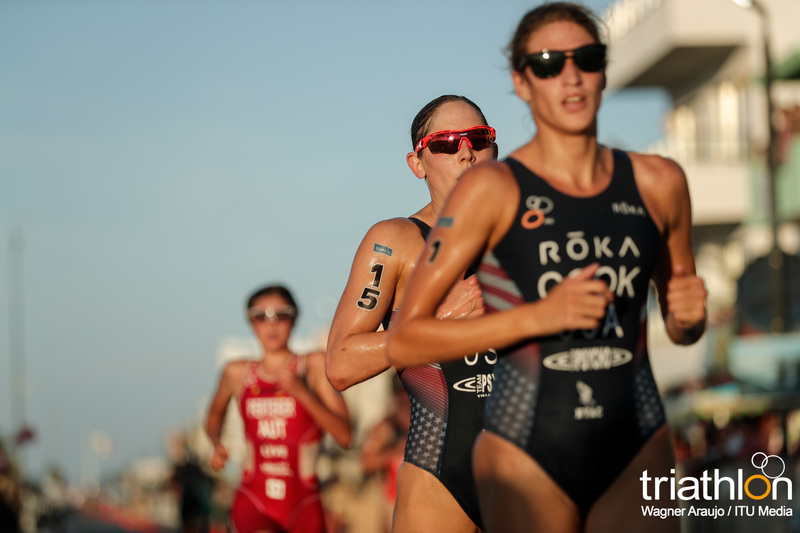 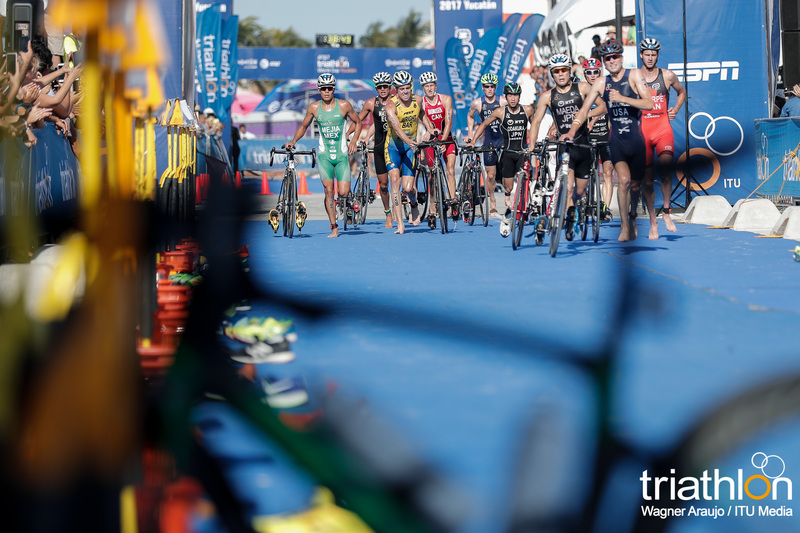 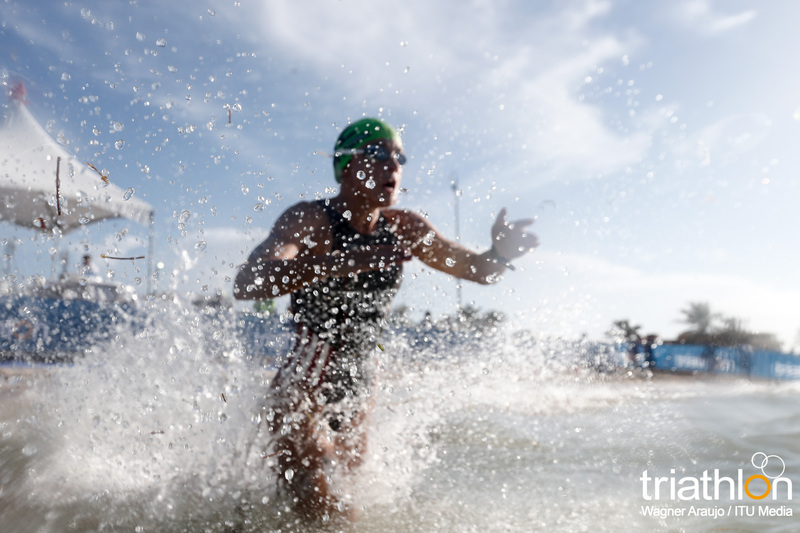 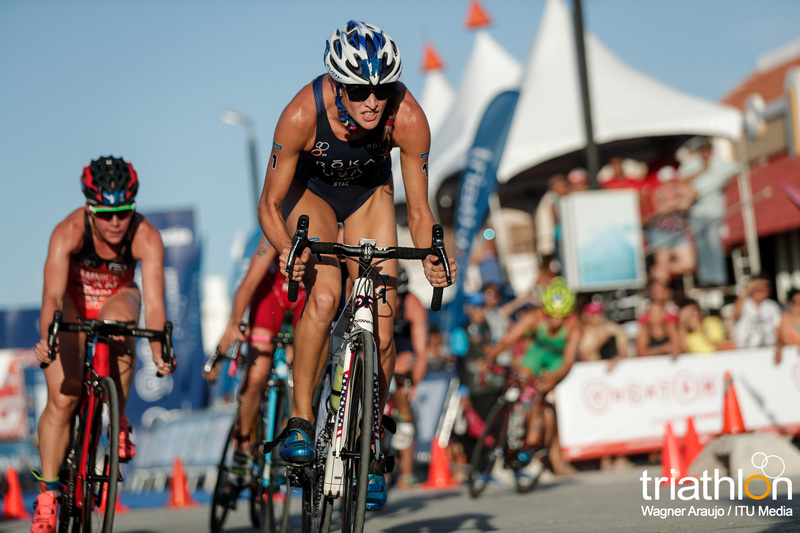 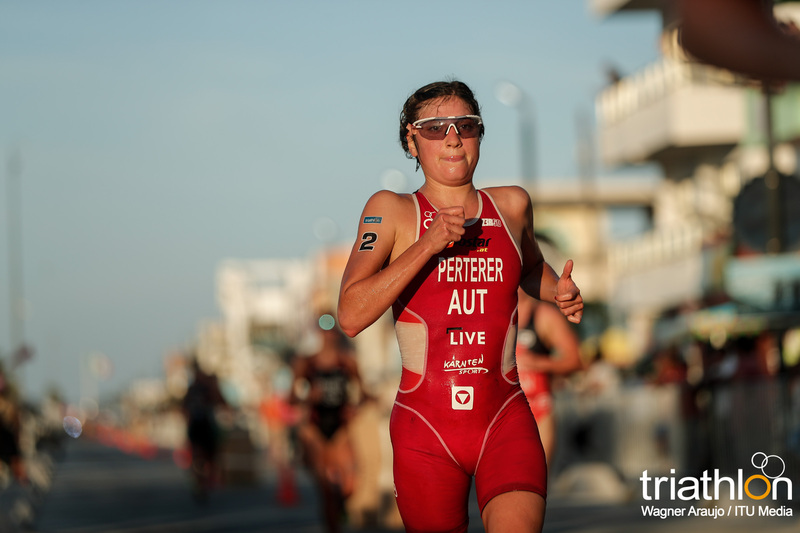 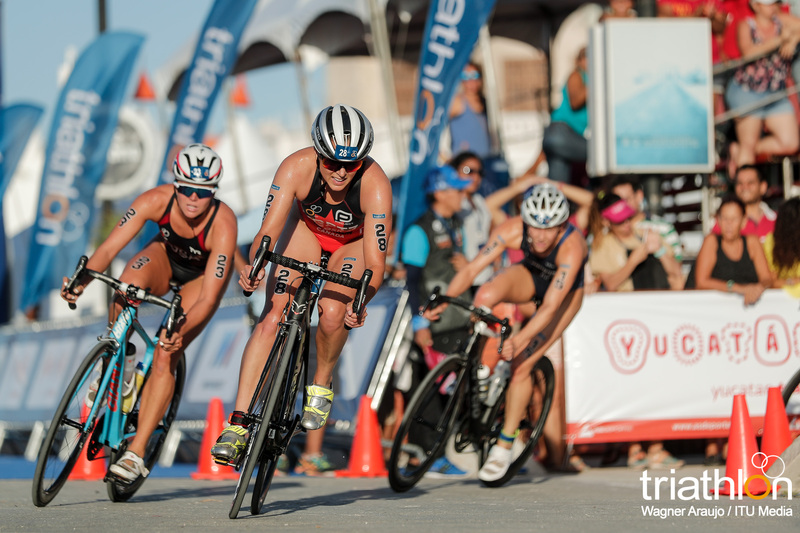 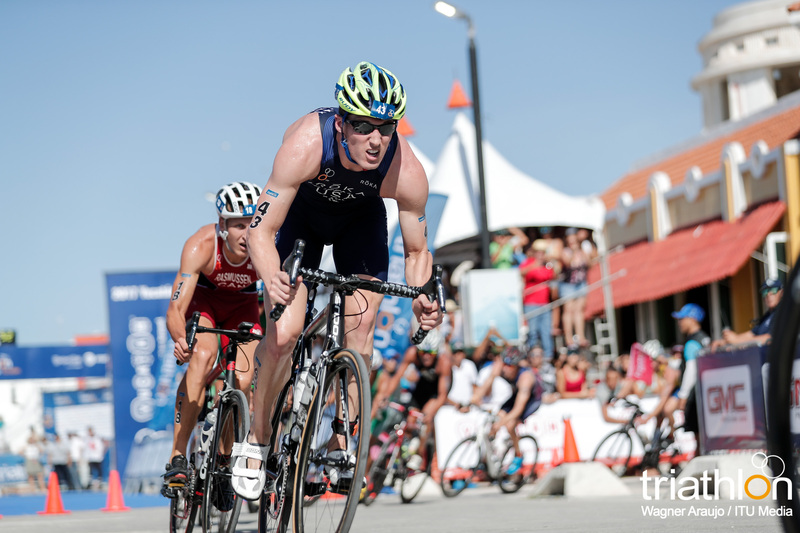 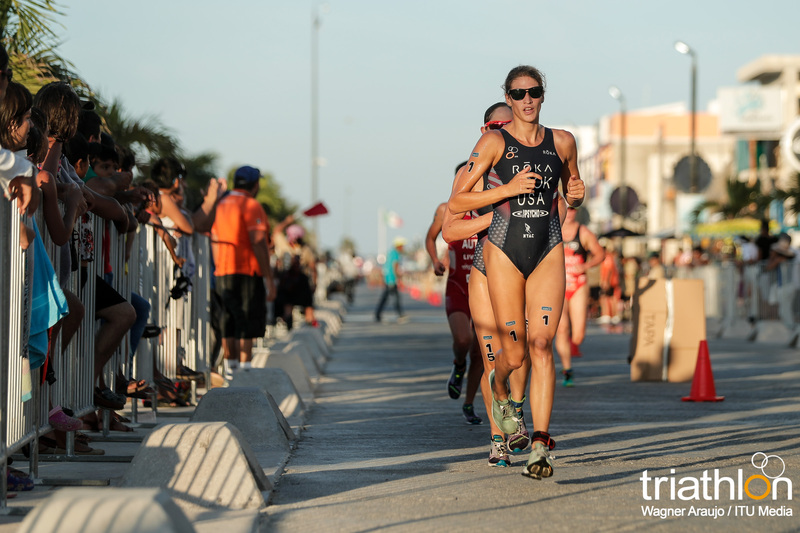 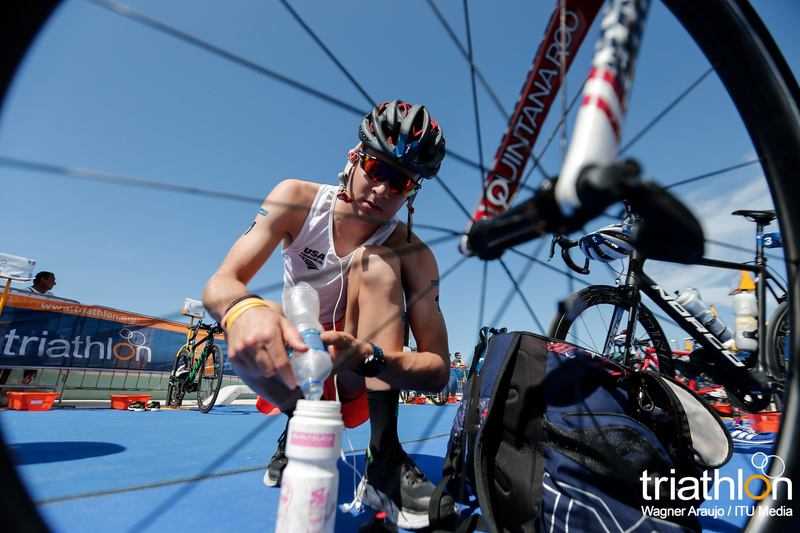 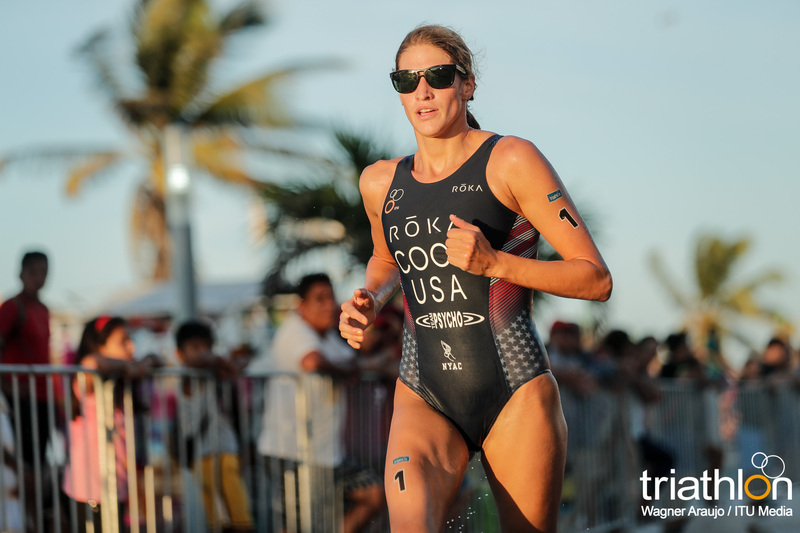 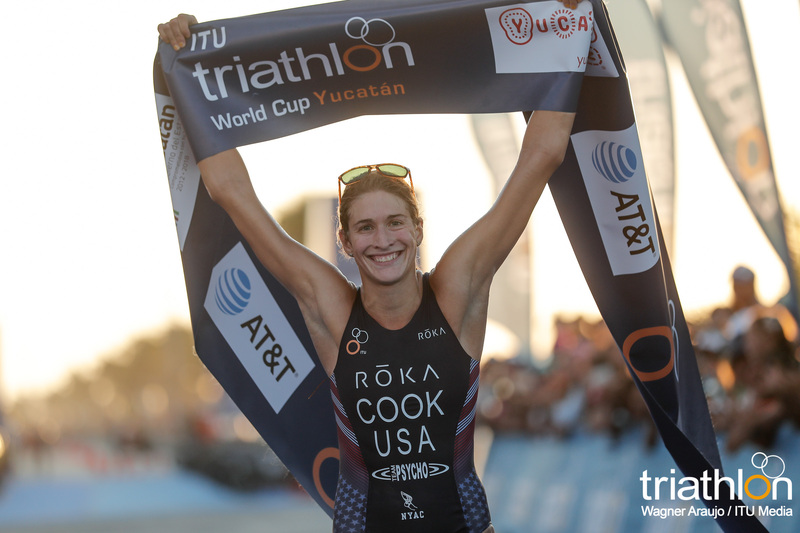 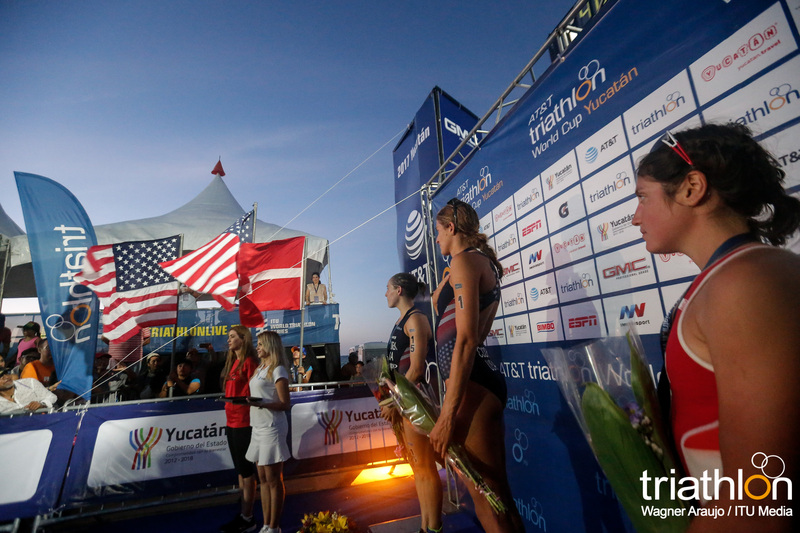 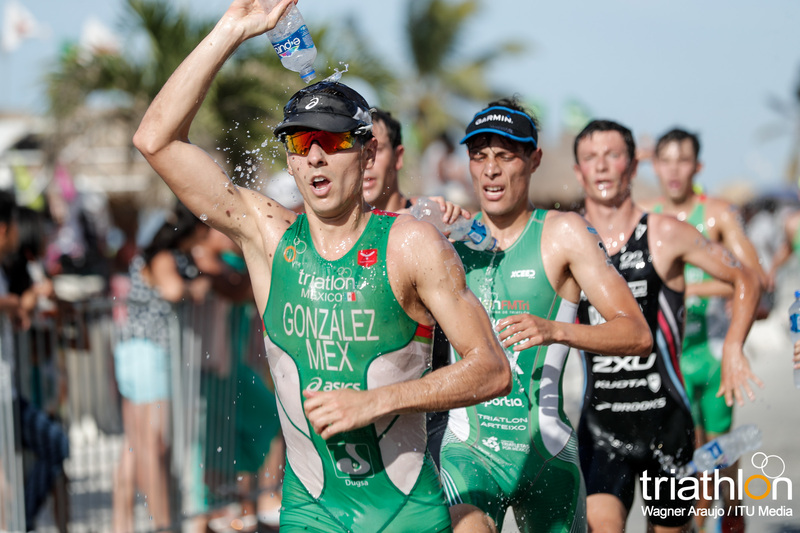 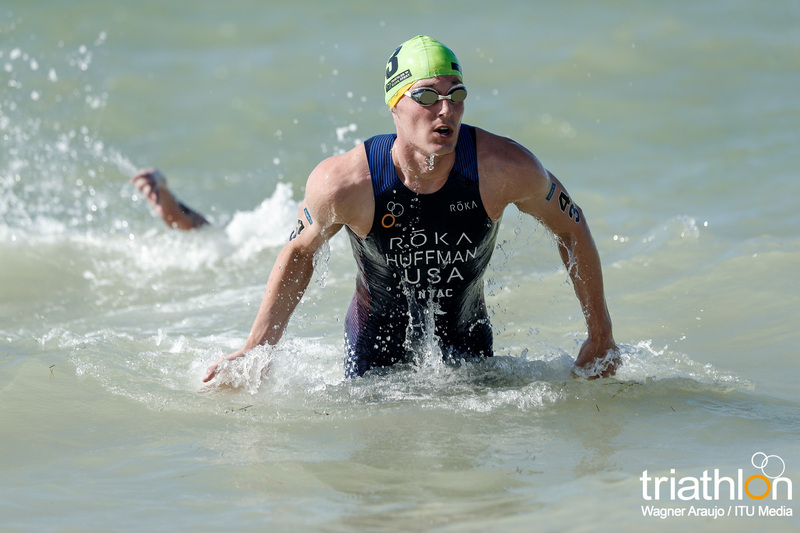 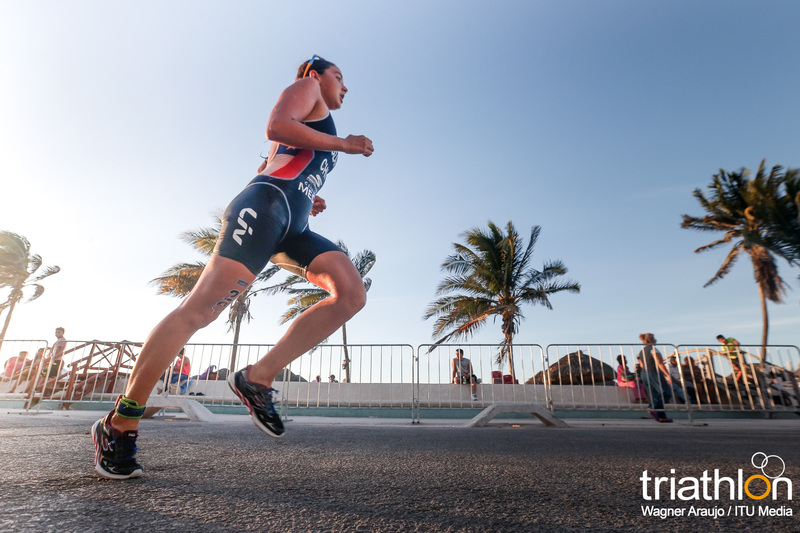 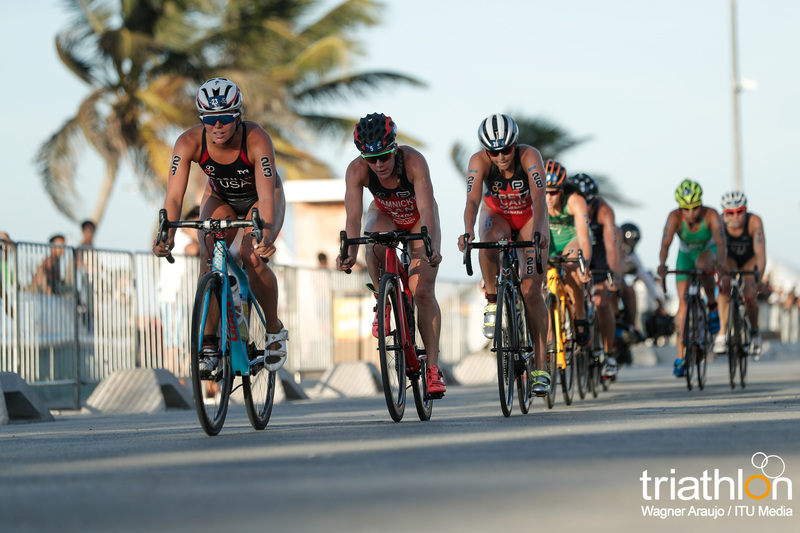 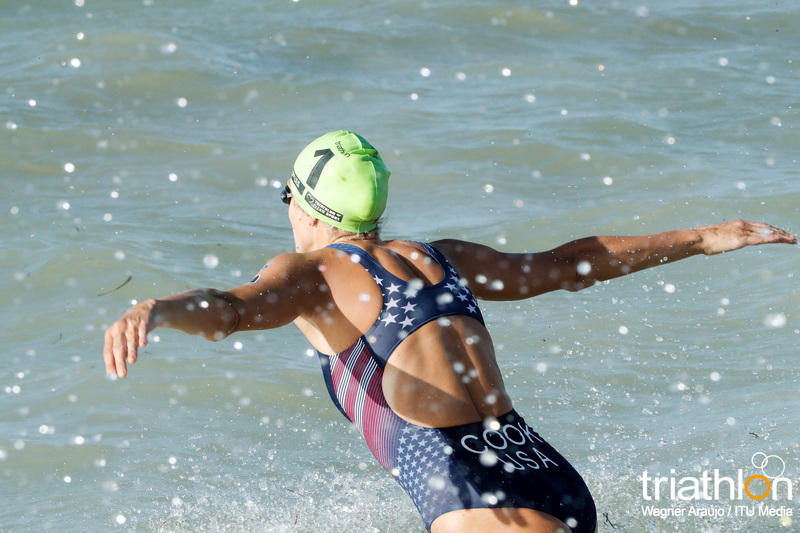 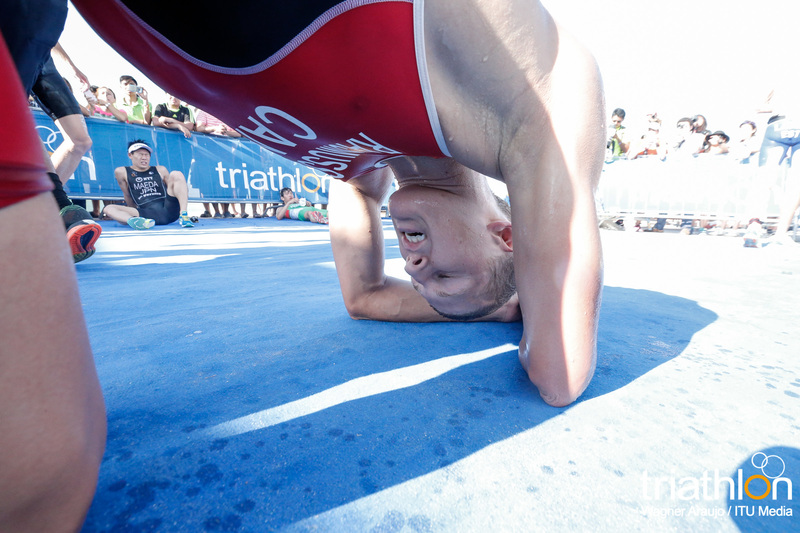 Then in a battle for the bronze, Schwetz outran a small group of men behind him to take the final spot on the podium, a feat the proved he too performs well in Mexico after he also earned a podium in 2015 at the Huatulco World Cup.